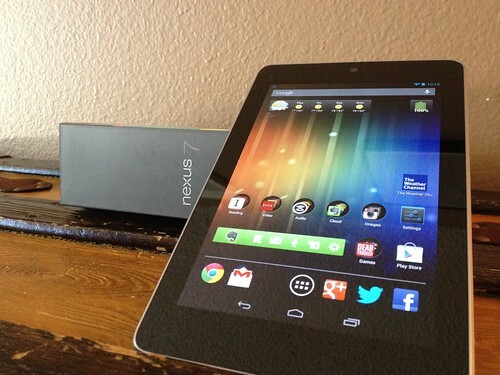 Recently business blogger Jim Connolly gave his review in a two-part post of the new Nexus 7 with a very specific question in mind. Would the device be effective for mobile blogging? You can read Connolly's two-part review (written on the new tablet from Google and Asus) but the answer is a resounding yes! Productivity. The dream of being able to work from anywhere on your timetable has always been there long before tablets or blogging existed. But for bloggers, especially those whose posting is part or the majority of a business, this means being able to work from the local Starbucks or while waiting for a connecting flight, wherever an Internet connection is available. Access. Another challenge in blogging is the need to be active on the site, responding to comments in a timely fashion and removing inappropriate content immediately when it appears. Obviously the ability to work on your site from anywhere allows you to be active online even when you're on the go. Versatility. Having a blogging tool that will fit into a pocket has incredible advantages. It allows you to rearrange not only how you work on your Website but your entire lifestyle. Even with a largely online business, you're no longer limited to being stuck at your computer or having to lug around a laptop. So, what do you think? How will mobile blogging change the way you work? Have you started blogging on the go? Tell us about it in the comment section below.